A picture is worth a thousand words, but not in this case! 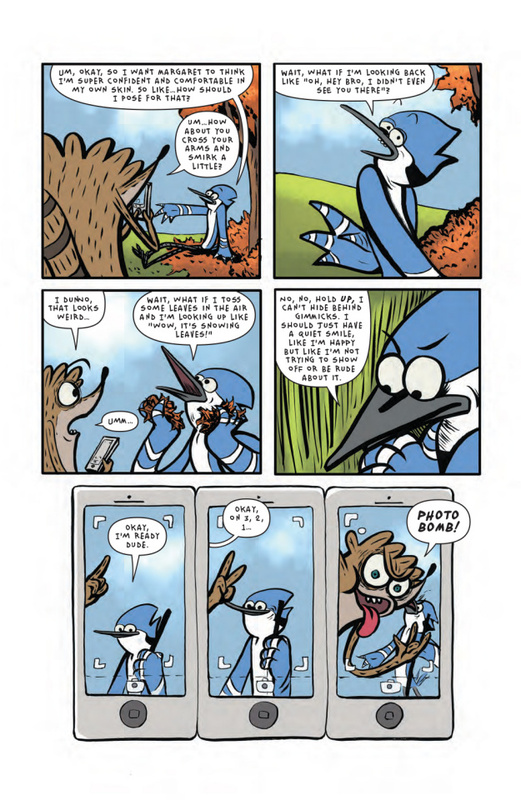 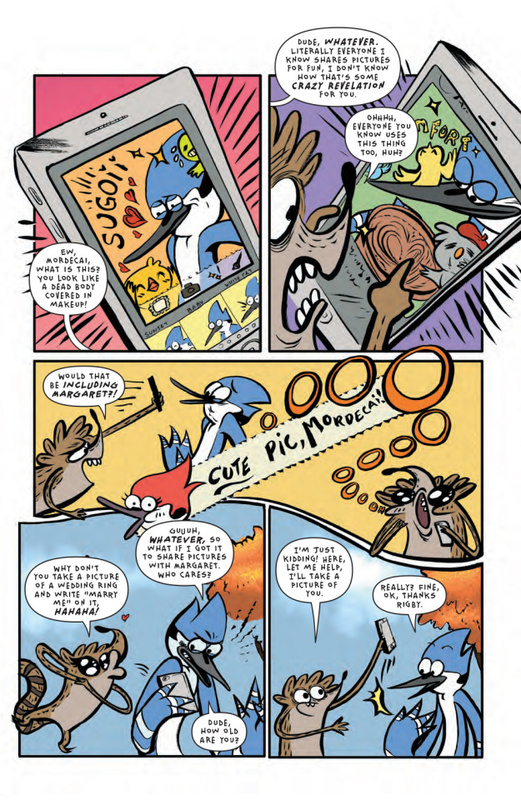 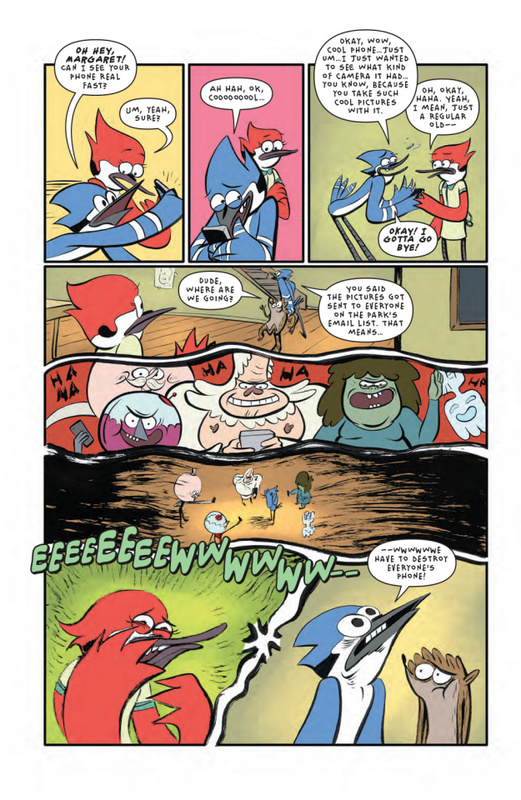 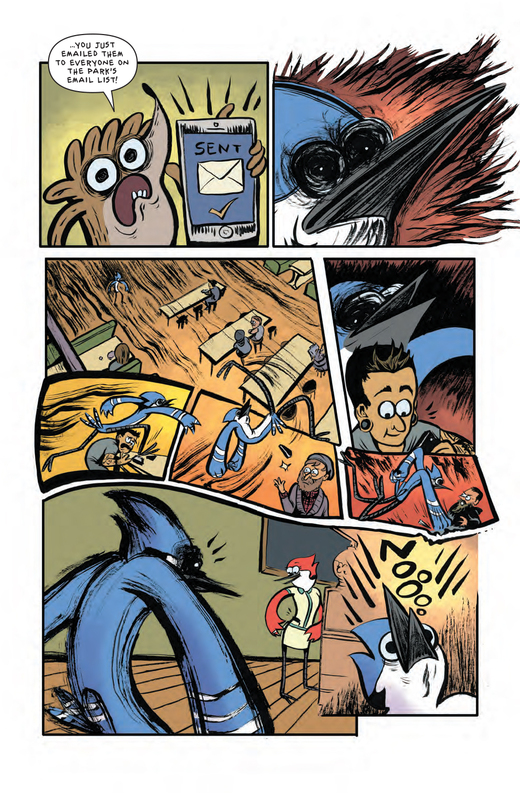 Mordecai and Rigby find themselves in trouble after a selfie war and now they have to destroy all the evidence so no one (especially Margaret) sees Mordecai's scariest picture. 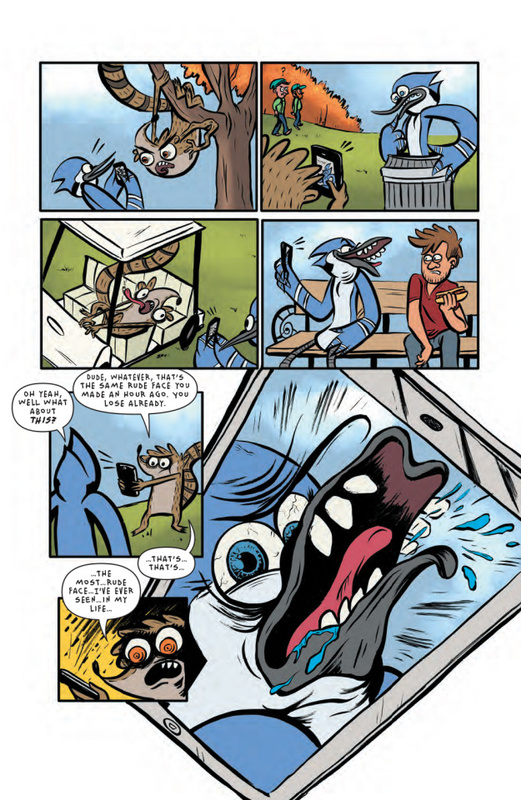 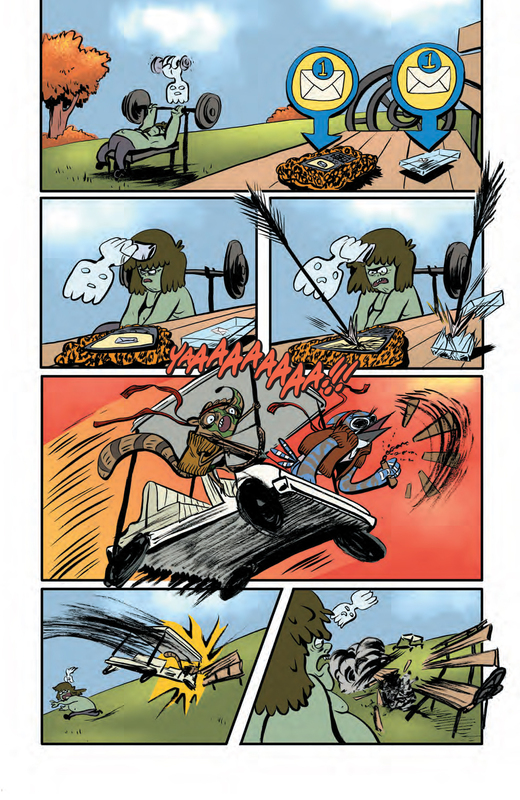 It's a crazy battle of flashing cameras and Internet shame, written by indie rockstar Nick Sumida and drawn by amazingly gifted Allison Strejlau. 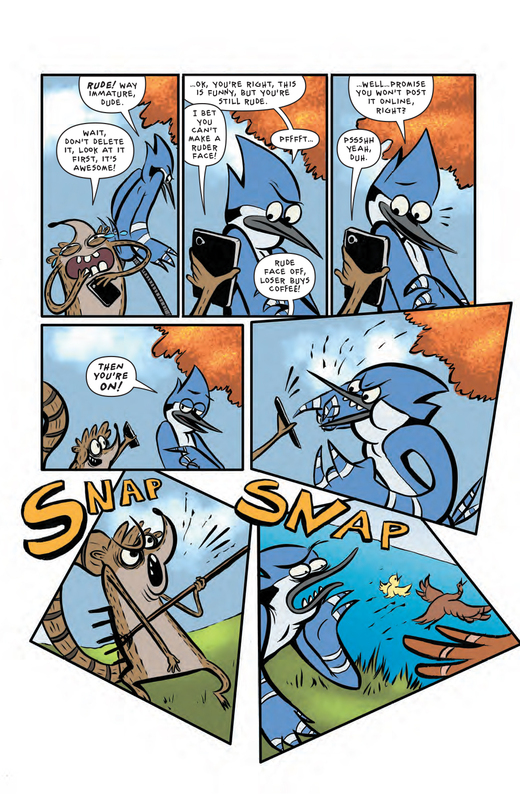 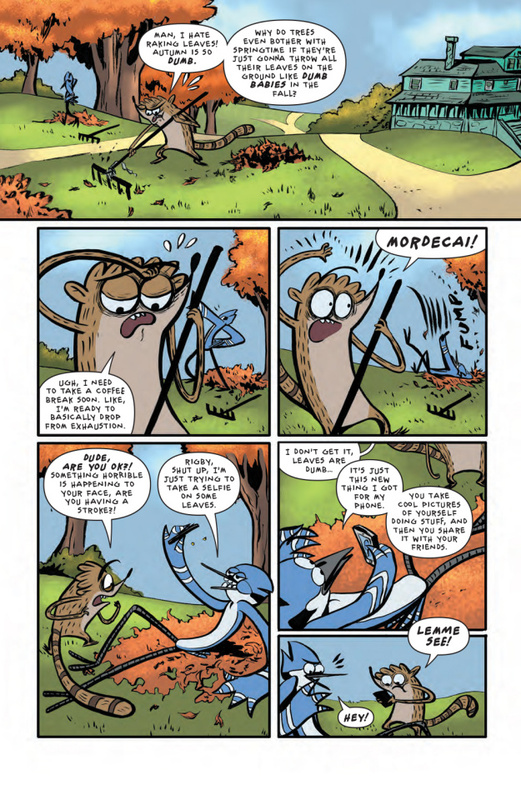 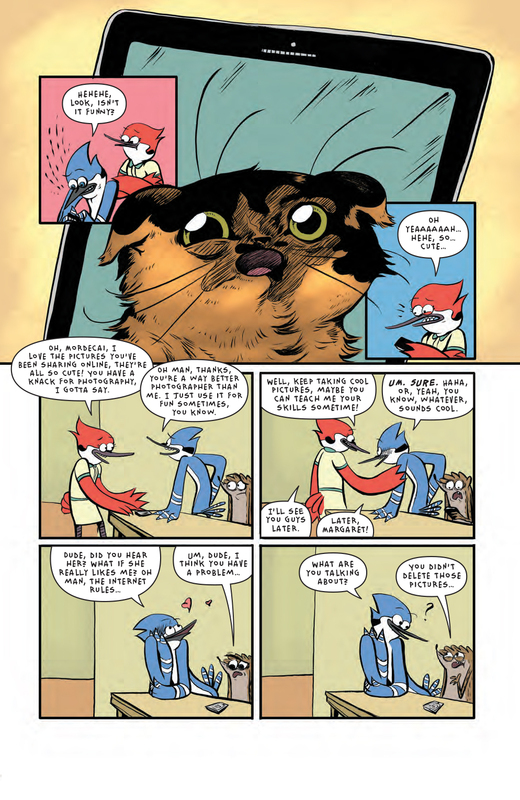 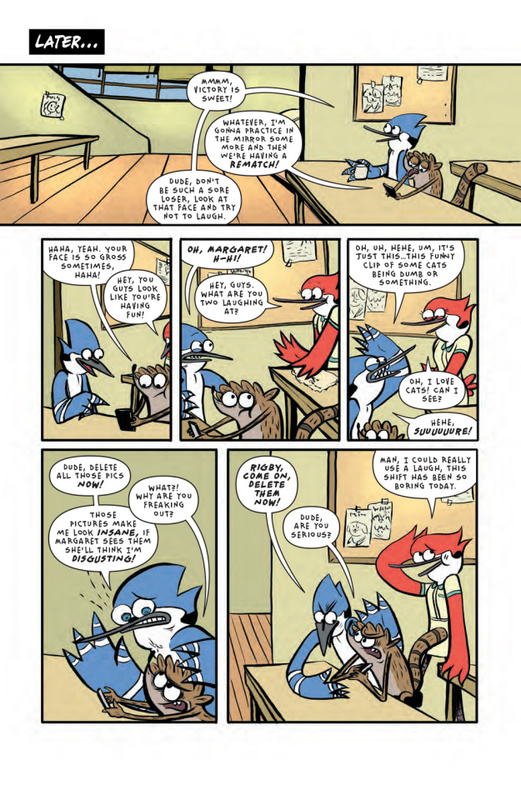 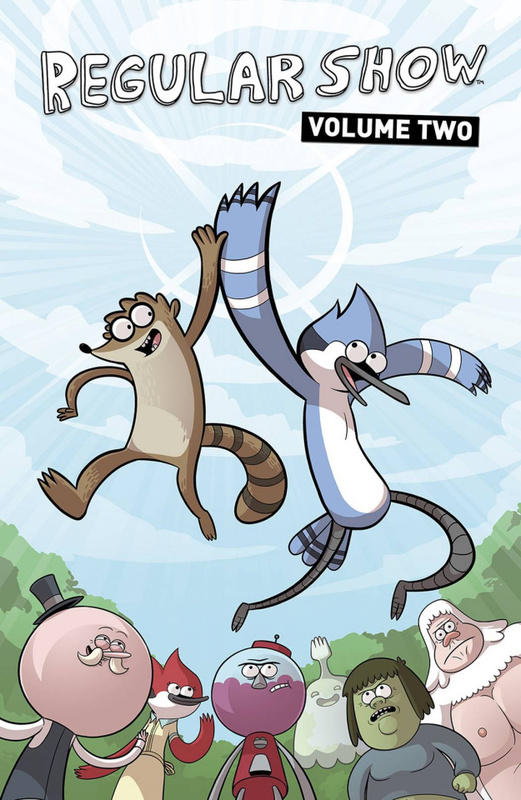 Collects REGULAR SHOW #5-8.